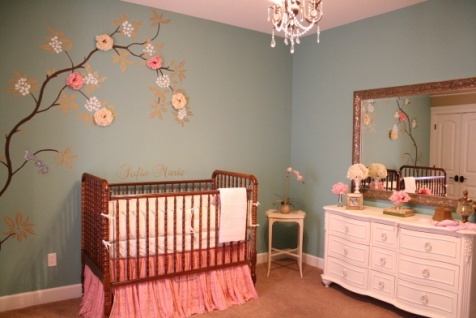 Decorating a nursery for your baby girl can be exciting as well as an overwhelming task. But before you go shopping for your baby girl’s nursery, do some research to see what styles you are interested in and what color schemes that best suit your room and make a list of things you are looking for as that would help you when you start make decisions regarding the decorations. Colors play an important part in your baby’s vision development. For instance, brightly colored toys and wall hangings will capture your baby’s attention and develop her ability to distinguish colors and shapes. So keep that in mind when you are decorating your baby girl’s nursery. Colors that are commonly used in baby girls’ décor include pink, lavender and white and colors that are considered gender-neutral include shades of brown, yellow and green. You can also wallpaper the entire room or wallpaper just one wall. Either way, consider a contemporary pattern such as stripes or damask for an easier redecorating transition in the future. 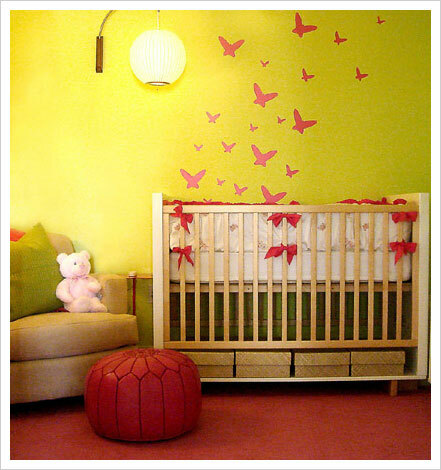 After choosing a color scheme for your baby girl’s nursery, choose a decorating theme. You can choose traditional or contemporary nursery themes for baby girls. Traditional themes like princess, fairy tale, ballerina and animals, and contemporary like beach, garden and global bazaar. There are also themes that are age-neutral and will require less redecorating as your baby girl grows up. Or you can make your theme revolve around your family’s interests. For example, if you are a dog lovers’ family, choose a puppy-themed nursery. The final step in your decorating process is choosing the nursery furniture. Nursery furniture usually includes a crib, dresser or armoire for storing baby’s clothes and a changing table. You can stack diapers in decorative baskets on the changing table’s shelves for easy access. You can also add a rocking chair or comfortable armchair, a bookshelf, toy box or a daybed for extra seating in the room. Make sure to leave open floor space for a play area. Anyway, we hope you’ll enjoy looking at these photos and will find some interesting ideas for your baby girl’s nursery.